I love cute dress up, but dislike any scary part of Halloween. Halloween scares the pants off of me. Always has. Probably always will. When I was in elementary school, I literally hid under my desk in terror, as one of the second grade teachers would visit our classroom in her full witch gear. You see. We were told she was a witch, and the week of Halloween, she would start to turn green. The first green mark was on her hand then her arm then her neck, and then her cheek. You get the idea. By Halloween, she was all green, and literally scared the pants off of me as she rode into my class on a broomstick. This was the 70s. Think Dorothy. Toto. Wicked Witch! Yeah, ugly scary. It was all in fun, of course. She meant no harm, but I sometimes wonder if I would not have turned into such a scaredy cat if that didn’t happen to me in my so-called formative years. I eventually faked illness on Halloween so I could miss school. My mom knew my fears. She let me. I try to make a conscious effort today not to transfer my Halloween anxiety onto my kids. Halloween to them is Scooby-Doo. It’s whimsical. It’s fun! They get candy! I’ve bought my candy this year. It’s by the door now with uncarved pumpkins. I bought my favorites, too. Peanut Butter Cups and Kit Kats. If it is your most dreaded holiday of the year, you might as well eat what you like. Right? My wizard and witch are ready. And the nice thing about having children is that I don’t have to stay home, and answer the door. I used to just hide in the back of the house when we were childless. Hearing that doorbell, and knowing masked people were on the other side, well, you guessed it. It scared the pants off me, too. Now, I ring someone else's door. Life has been busy these past few days. My husband and I have been doing a little car shopping. I've had no time to write or edit a new post in between test-driving, and decision making. In fact, I've barely had time to keep my own children. I think they may actually miss me, and I miss them. I wanted to say hello, and to let you know that I'll be back to writing soon. 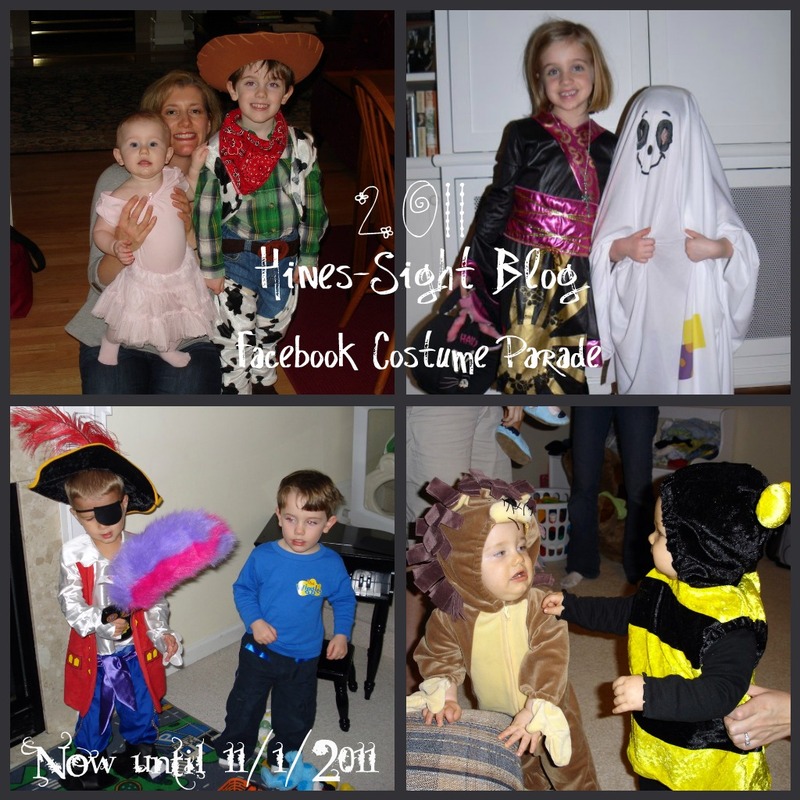 In the meantime, keep those great photos coming for the Hines-Sight Blog's Costume Parade on my Facebook page. I love seeing the cuties, and all of your creativity. Anyone who uploads or comments on photos submitted to the Blog's Facebook page now through November 1 will be entered into a drawing for a latte or two on me. Don't forget that pets are included in the fun, too. If you are a latte lover like me, then you may want to make your own latte at home. I recently discovered "A Year of Slow Cooking" because you know I'm on the look-out for good, crockpot recipes. I've not tried the Crockpot Pumpkin Spice Latte yet, but this looks to be a Halloween must. 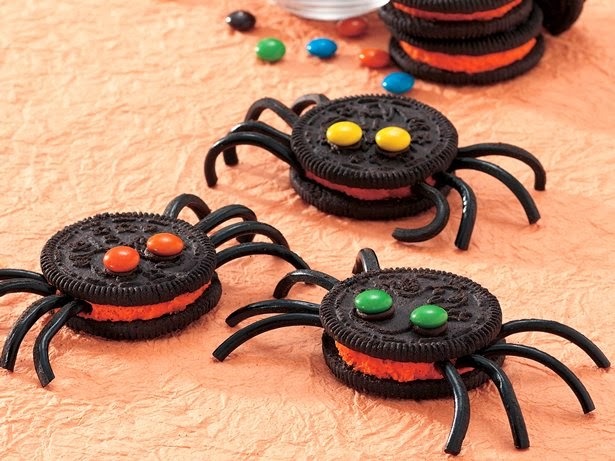 It will be great to take Trick-or-Treating. If you make it, let me know. If you are in a hurry and don't want to wait for things to cook in a crockpot, then may want to try this little gem by Godiva. It's called the Godiva Pumpkin Pie Latte. Until next time, snap those costume photos of your ghouls and goblins. I can't wait to see them. Fall can be spellbinding in the mountains of Highlands, North Carolina. The beautiful autumn colors that surround a town known for being storybook quaint can provide leaf lookers a magical experience. 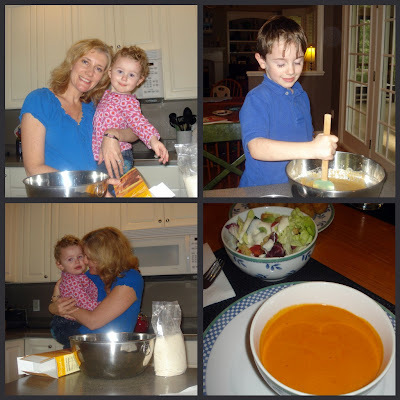 Situated at 4,118 feet above sea level in the southern plateau of the Blue Ridge Mountains, the mountain village of Highlands is a destination that surprisingly was only 12 miles from where I grew up in the little town of Cullowhee. But let me be the first to tell you that was the longest 12 miles ever for a little girl who was prone to motion sickness. The road that leads to Highlands has hairpin curves and cliff drops that can make you weak in the knees if you look out the window. Unfortunately, I don’t remember much about my earlier visits to Highlands because it’s been well over 20 years. A lot of times, I just saw an inside of a gymnasium when our high school basketball team played the town school’s team. 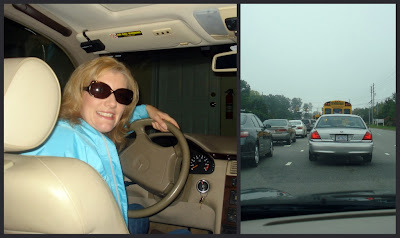 Sometimes, we even saw a few snowflakes as the van carrying car-sick cheerleaders slowly got us back down the mountain. Now that I’ve grown up and have developed a taste for the finer things in life, I wish I had paid more attention to this little mountain village that welcomed affluent southerners who made the trip in their horse-drawn carriages to escape the South’s scorching heat. 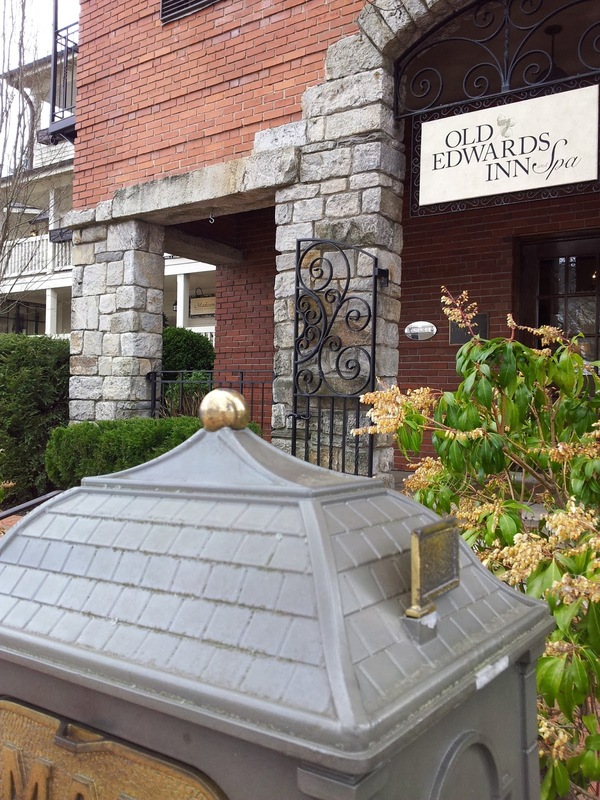 The quaintness and charm of the town makes me want to take a Dramamine and experience the luxury of a mountainside escape at the Old Edwards Inn and Spa first-hand. As you know, I always try to find my readers a savvy spending hotel (under $200 per night) choice as well any time I talk about a travel destination on this blog. The catch is that I will only mention the hotel here if I would consider staying there myself. I found a lot of other great properties, including some vacation homes for rent by owner, in Highlands, but all of these properties would be in my splurge category. There are some less expensive options in Highlands, but none met my personal criteria. I didn’t give up, though. Instead, I extended my hotel search into a neighboring town, which is just as beautiful as Highlands. The Laurelwood Mountain Inn is located in Cashiers, North Carolina, which is 11 miles away from Highlands. 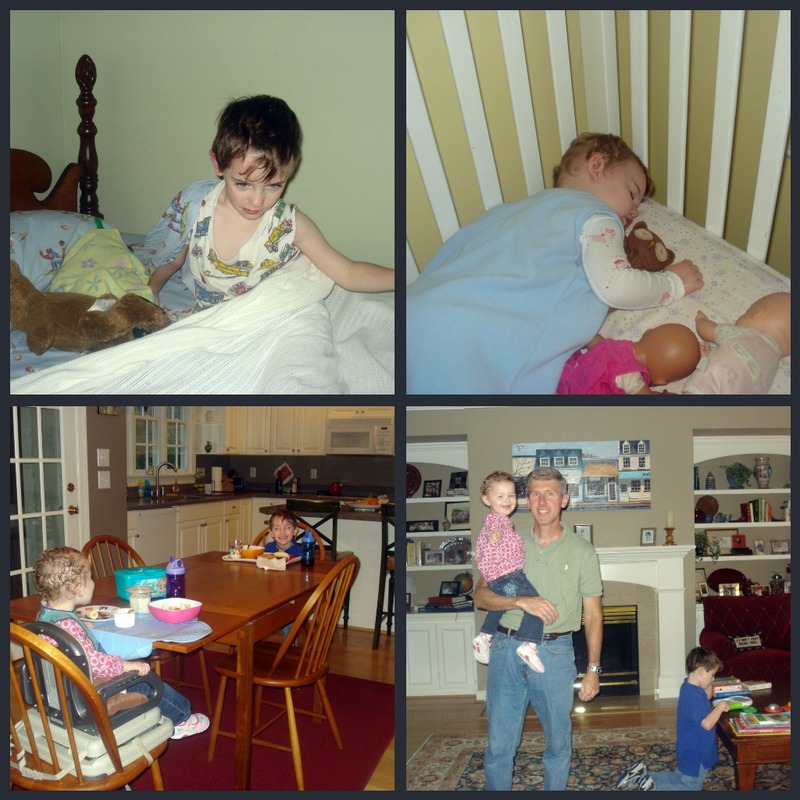 This inn would be a perfect budget-friendly base for your family to explore the mountains. It’s a family-owned hotel, and it is very obvious by reading the reviews that they take great pride in their inn. They have standard and deluxe rooms for under $100 a night. Suites and log cabins are priced under $200 per night. The inn requires a two-night minimum stay during peak times. It’s a great savvy spending choice for families who want to visit this fall and early winter. See you in the mountains. If you go, let me know!